Yes. DITRA does not eliminate the need for movement joints. Movement joints are essential in any tile installation to prevent the development of stress in the tile layer due to changes in temperature, moisture, and loading. These include perimeter joints at field edges and restraining surfaces, and surface joints within the tile field at regular intervals. Please refer to the Schluter-DITRA Installation Handbook for further discussion and guidelines for movement joint placement. 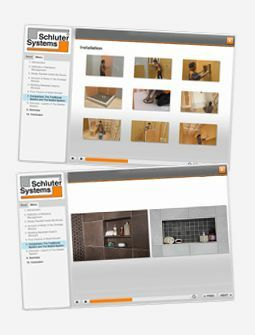 Note: Schluter-Systems’ prefabricated movement joint profiles protect tile edges and prevent sound bridges and surface water penetration, resulting in a permanent, maintenance-free installation. The family of Schluter-DILEX prefabricated movement profiles includes a variety of shapes, sizes, and materials to suit different applications.